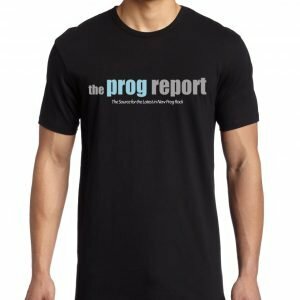 Yes’s 50th Anniversary year has prompted a lot of activity in terms of tours and shows, by two line ups, but, one live release aside, has not resulted in any new albums. As 2018 ends, we are spoiled by having these two tribute albums arriving at roughly the same time. 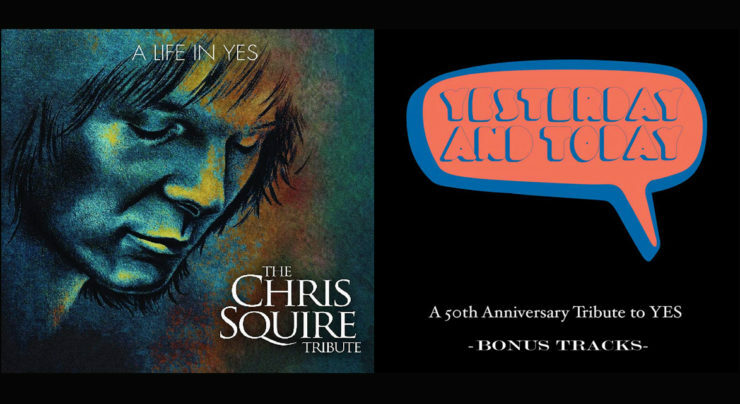 Billy Sherwood, producer of many tribute albums over the years, is behind ‘A Life in Yes,’ in honor of his friend and collaborator, Chris Squire. Joining Sherwood, who contributes bass, guitar and vocals to various tracks, are Yes-Men such as Tony Kaye, Patrick Moraz, Geoff Downes, Jon Davison and Jay Schellen, along with names from some of prog’s greatest bands (Marillion, Genesis and Porcupine Tree) and music legends like David Sancious, Todd Rundgren, Brian Auger and Steve Porcaro. The track list combines solo tracks, Yes classics and some deeper album cuts written / contributed to by Squire, with a combination of male and female lead vocalists singing. With Sherwood on bass throughout, you can hear how he is the perfect replacement, keeping faithful to the bass parts his friend created, while adding elements of his own. The song choices range from the very unexpected and adventurous, to the 2 “hit singles”, “Roundabout” and “Owner.” Squire himself also features on two bonus tracks, a cover of Floyd’s “Comfortably Numb” and ‘The Technical Divide’ from Sherwood’s Prog Collective album. For me the stand out track is a toss up between an incredible version of “Silent Wings of Freedom” with Jon Davison proving why he’s the right man for Yes today, and the version of Squire/Sherwood’s “The More We Live” featuring Sherwood on vocals and Steve Hackett on guitar. The Sonic Elements ‘Yesterday and Today’ album has the broader remit of being a tribute album to the 50 years of Yes and does its job by reaching a bit further back than the Sherwood album. Duties are divided up between keyboardist, Dave Kerzner and guitarist Fernando Perdomo who draw on their contacts to arrive at the ideal line up for each track. The album was conceived separately from Sherwood’s but has a number of Yes-Men and guests in common – Downes, Sherwood, Schellen, and Kaye pop up adding their 2 contributions mostly to Yes songs they have a connection with. Kicking off with a breathtaking interpretation of ‘Machine Messiah’ with co-writer Downes on keys and Nick D’Virgilio with Randy McStine killing it on vocals, guitarist Johnny Bruhns makes one of several appearances, contributing in superb style. 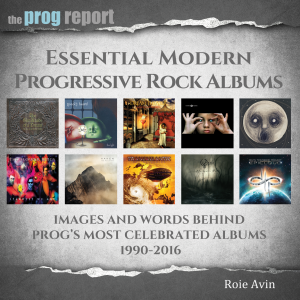 The track list includes 2 songs from Yes’s debut album, “Sweetness” and “Yesterday and Today” but also hits the Rabin era with an elongated ‘Cinema’ featuring Hackett, and a version of deep cut from ‘Big Generator,’ “I’m Running” with Robin Schell on vocals, plus Marco Minneman, along with Billy Sherwood as the rhythm section. Acoustic interludes from Dave Bainbridge and Jon Davison, ensure a broad range of songs get touched upon, with the album ending with the dueling guitars of Perdomo and Francis Dunnery on “Wurm” from “Starship Trooper.” When it comes to capturing the breadth and variety of 50 years of Yes music, ‘Yesterday and Today’ does it in way that every Yes fan will enjoy. In closing, for the skeptical who may ask – what’s the point in buying albums of covers of songs I thought were good enough to begin with – I would say, think of these albums as way to rediscover music you are already familiar with (so many times when I’ve been listening, I’ve gone – ‘I really must dig out < album > because that’s a really great song’). There is no doubt that these tributes are prepared by fans/ band members who truly love this music. 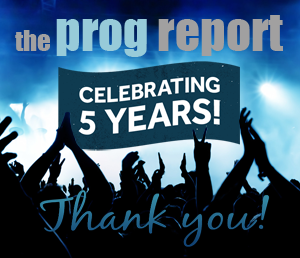 The symphonic stylings of Yes do indeed stand up to the reinterpretation and celebration of both of these compilations.